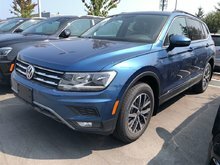 Home > New Vehicles > Volkswagen > Tiguan > 2018 > 2018 Volkswagen Tiguan Highline 4Motion w/ Drivers Assist Pkg. 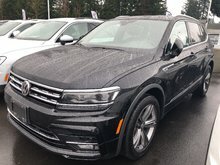 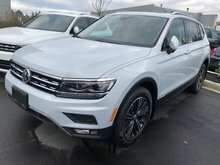 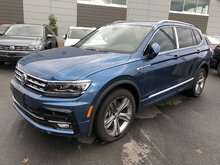 2018 Volkswagen Tiguan Highline 4Motion w/ Drivers Assist Pkg. 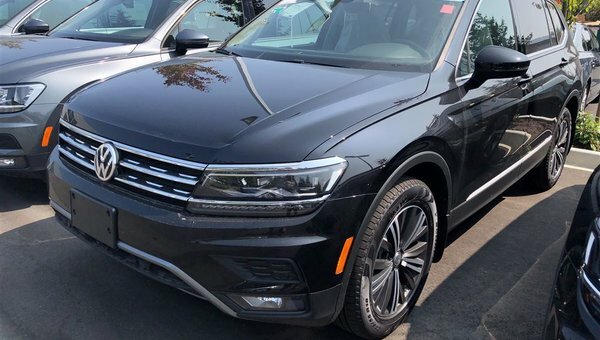 Key Features: 18” Nizza Alloy Wheels, Panoramic Power Sunroof, Privacy Glass, Rain sensing wipers, Climatronic dual-zone climate control, Ambient LED Interior Lighting, Volkswagen Digital Cockpit (instrument Cluster), Adaptive Cruise Control with Stop & Go, Lane Assist, Light Assist (Automatic high beam control), Area View 360, LED headlights with Adaptive Front-Light system, LED Tail lights, Power Autofolding heated exterior mirrors with memory and reverse tilt down function, Heated front seats, Leather seating surfaces, Leather wrapped heated multifunction steering wheel, USB audio input (x3), Fender Premium Audio System - 400-WATT digital sound package and 8 speakers Composition Media – 8.0” touchscreen radio with proximity sensor, CD player, voice control, 2 SD card slot and Satellite Navigation, Blind Spot Detection with Rear Traffic Alert, Front Assist – Autonomous Emergency Braking, KESSY – keyless access with push-start button, Pedestrian monitoring, Power tailgate with easy open and delayed close function, Park Distance Control – Front & Rear, Rear view camera.